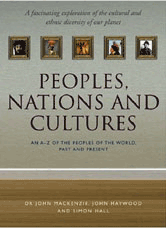 A unique and comprehensive historical guide to the world's peoples, from the earliest times to the present. Descendants of the original Dutch settlers in South Africa who went to the Cape of Good Hope in the decades after the first settlement in 1652. Twi-speaking Akan people who inhabit southern Ghana and adjacent Togo and Ivory Coast. A linguistic classification identifying the 60 million or so people occupying almost the whole southern projection of Africa, or roughly one third of the entire continent. Aboriginal Caucasoid peoples of N Africa, called Imazighen in the Tamazight language. Inhabitants of the city of Carthage (‘New City’), now a suburb of Tunis, and its extensive territories bordering the North African coast. Inhabitants of the upland plateau region centred on Bandiagara in Mali, West Africa. The people of Egypt. Almost all Egyptians live in the well-watered and fertile Nile Valley and Delta region leading to the Mediterranean. A predominantly Muslim people originating in modern-day Senegal and now widely dispersed across the Sahel region of West Africa as far east as Lake Chad and Cameroon. 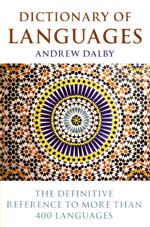 A large agglomeration of linguistically related people of West Africa, concentrated in the Muslim emirates of northern Nigeria and adjoining southern Niger. Culturally related BANTU-speakers concentrated in the western Congo basin in central Africa. Traditionally nomadic pastoralists of the Rift Valley area of Kenya and Tanzania. A people who mainly occupy the western Sudan. An ethnolinguistic group of northwest Africa, concentrated in Morocco, Mauritania, Senegal, Mali and Gambia, although the term is sometimes applied to Muslim groups further afield. The second-largest ethnic group of Zimbabwe (formerly Rhodesia). Member of a minority ethnic group forming many small autonomous groups in southern Sudan. Cushitic-speaking pastoralists of southeastern Ethiopia who constantly extended their territory in search of pasture for their cattle. Central African pygmy groups include the Western Aka; the Central or Twa (or Tswa) cluster; the Eastern Mbuti, who have an Aka sub-group; and the southeastern group, also known as Twa, of the Rift Valley. A people who have traditionally been marginalized by stronger societies and who survive today in the deserts and marginal regions of Botswana and Namibia, sometimes as pastoralists and sometimes as traditional hunter-gatherers. A people who inhabit the Horn of Africa, divided among several states in the region because of colonial boundaries. A BANTU Sesotho-speaking people occupying the high grasslands of southern Africa, where they are one of the largest ethnic groups. A cluster of Bantu Sotho-speaking peoples who occupy the temperate grassland and dry thorn-veld of the edge of the Kalahari Desert, the territory of the modern-day Republic of Botswana. The traditionally dominant peoples of Rwanda and Burundi (though forming less than 10% and 15% of their national populations respectively), and among the Ha of western Tanzania. Cattle farmers and agriculturists of Senegal and Gambia. This large ethnic group is divided into numerous subgroups possessing different cultural identities and speaking various dialects of Yoruba, a Kwa language of the Niger-Congo family. A Northern Nguni people who live mainly in northern Natal, where their South African apartheid ‘homeland’ was known as KwaZulu. Even more strikingly than the Uralic and Indo-European families, the Afroasiatic language family cuts across usually perceived racial boundaries. Group of African languages forming a subdivision of the Benue-Niger division of the Niger-Congo branch of the Niger-Kordofanian language family. A group of now-scattered languages belonging to the Omotic group of Afroasiatic languages, Gonga is the speech of a series of old kingdoms of south-western Ethiopia. The Kru Languages are spoken in the forests of southern Liberia and Ivory Coast. They belong to the Niger-Congo family. A subdivision of the Western Nilotic group of Nilo-Saharan Languages, Luo in its various related forms is spoken by a scattered series of peoples extending from western Ethiopia to the northern extremity of Tanzania. The linguist Joseph Greenberg, in 1963, proposed the recognition of a Nilo-Saharan language family, grouping together numerous languages of Uganda, Ethiopia, Sudan and Chad. Nubian is a close-knit group of Nilo-Saharan Languages, and has a much longer recorded history than any other member of the family. The Omotic group are Afroasiatic Languages spoken in Ethiopia.